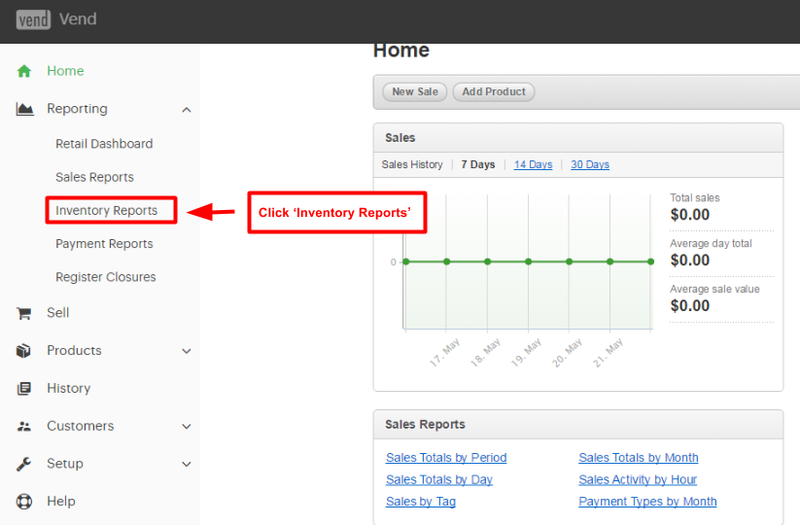 1) Once you've logged in to your Vend dashboard, navigate to 'Reporting', then to 'Inventory Reports'. 2) Click 'Export Data.' Vend will export your inventory list as a .csv file. 3. Open the .csv file. Depending on how your data is entered into Vend, your UPC data might be within the column titled 'SKU'. 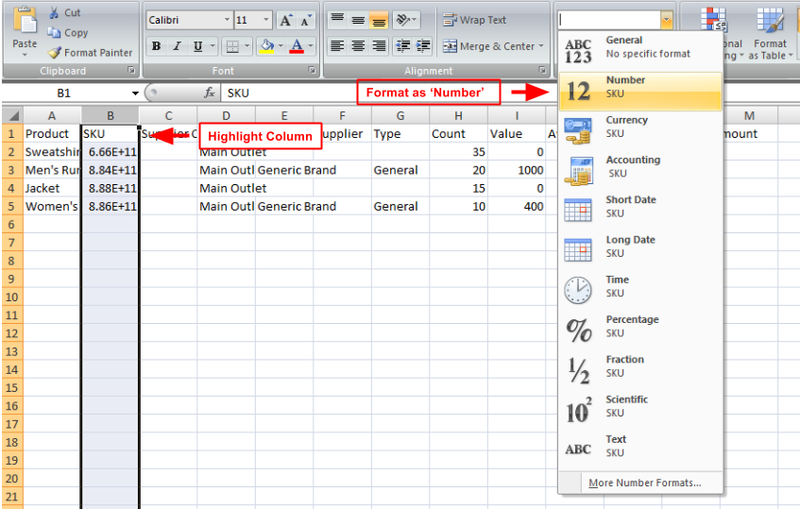 Highlight the entire 'SKU' column and format as 'Number'. 4) Delete all rows containing items you would like to exclude from your upload to BoxFox. You can also update quantities in the remaining rows, if you would like to include some, but not all, of your inventory counts of a specific item.